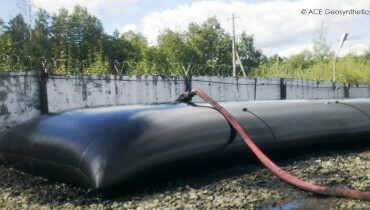 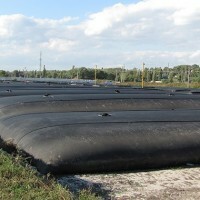 ACE containment geosynthetics are ideal for sludge treatment procedures. 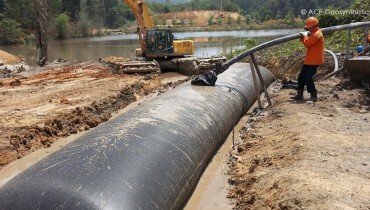 The challenges involved with the management of sludge and waste materials from collection to treatment, dewatering and disposal which can be truncated with the customizable ACETube® sludge dewatering system. 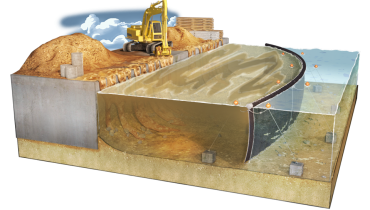 Waste slurries are pumped directly into the highly permeable dewatering ACETube® separating the fluid waste from the solids. 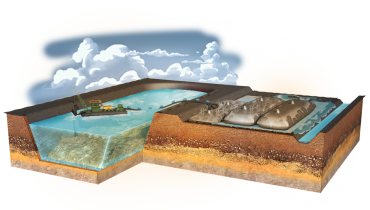 This process contains and minimizes the waste volume; cutting down costs and time in transportation of the sludge to the disposal site. 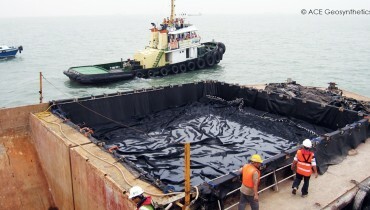 Our cost-effective ACETex® geotextile fabric withstands the effects of both highly alkaline and acidic environments; therefore ACETube®, ACEBag™, and ACEContainer®, containment systems are the optimal choice for controlling sludge treatment processes and preventing contaminants from polluting the surroundings.